As we enter our third and final week of rehearsals in Theatr Clwyd, our rehearsal room wall is now satisfyingly covered in poems, quotes, stories, facts and intentions, our set has now been moved into the theatre and our caffeine and cake intake is increasing by the day. 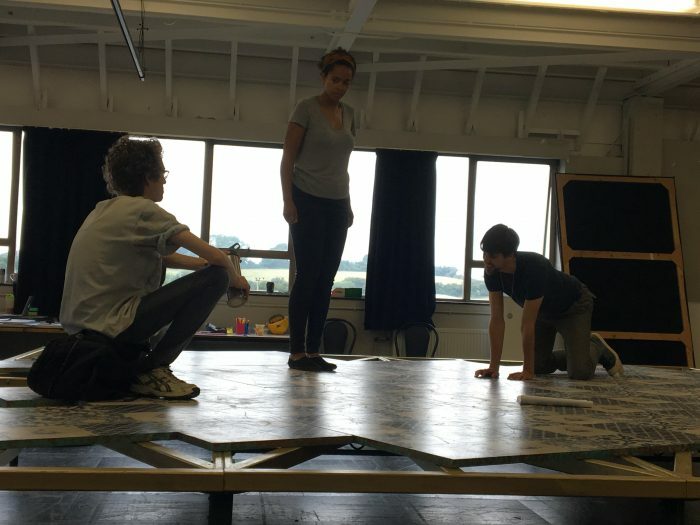 We have been fortunate to have had the set in rehearsals from day 1, which has enabled us to really explore and play with the geography of each scene last week, considering the particular physical language we may wish to use in telling this story. 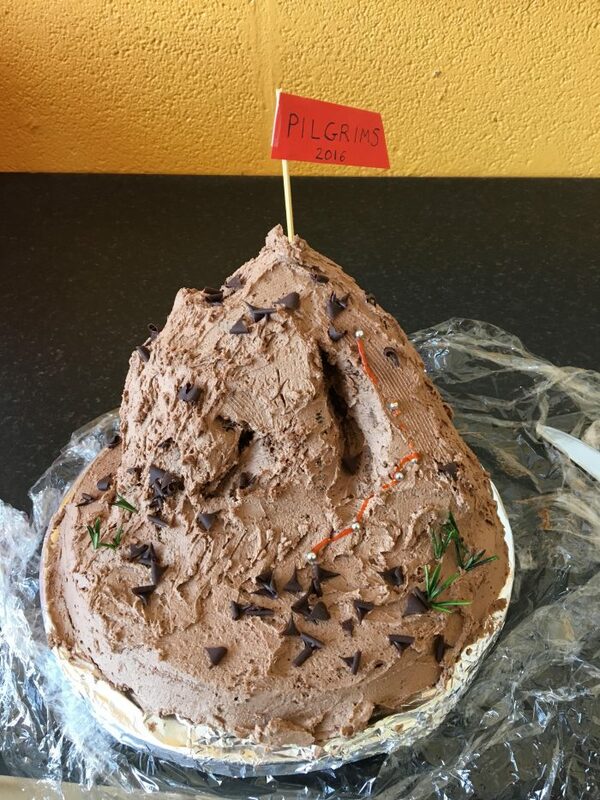 We were also very fortunate when we returned this week to be greeted by a delicious Pilgrims inspired mountain cake, courtesy of one of our actor’s, mums- Diolch yn fawr iawn! Now our cast, creatives and set are reassembled in the impressive Emlyn Williams Theatre, and just like our Pilgrims cake are continuing to build and shape the piece, as we re-welcome our lighting designer, composer, designer and finally, an invited audience.